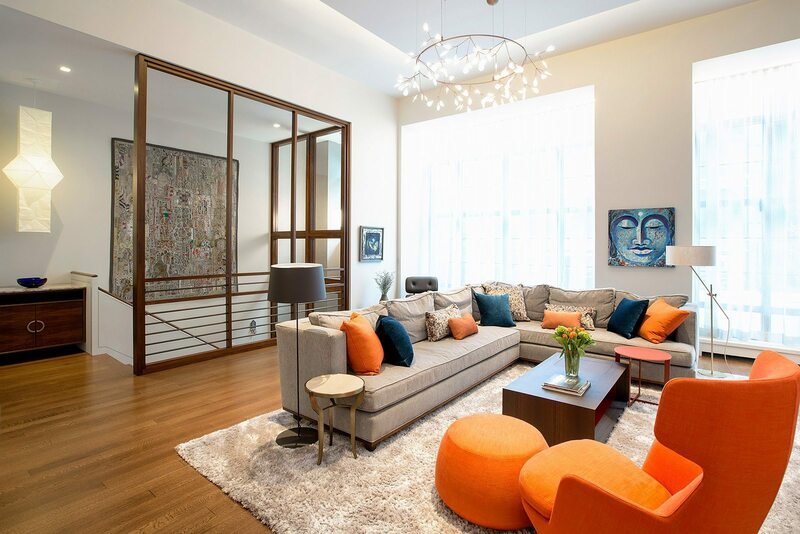 To turn a brand-new, but basic, townhouse into a super-luxury project in a very desirable part of the West Village in Manhattan. Using vision and experience, clients were assisted to shape the project into their dream home for themselves and their three small children. To build a chic and stylish home with high-end amenities throughout, yet make the environment livable, comfortable, and welcoming for the owners and their family and friends. High-end painting and finishes over newly skim-coated walls throughout the entire house. Custom millwork and furniture. Custom closet and storage systems and specially-designed handrails on all stairways. . A distinctive display area for the children’s artwork. Addition of a sophisticated A/V system to make the entire project a “smart” home. David produced the original punch list for the clients’ first walk-through (after having been the liaison between clients and builder prior) and recommended the right interior design team to allow the clients to exceed their original vision for the house. Creation of custom lighting in the whole house, requiring a great deal of electrical and switching work.